Very well situated and amazing view. Staff at the reception was extremely friendly. 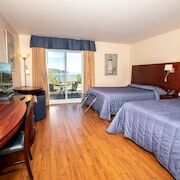 Where to find La Pocatiere hotels near an airport? Where can I find hotels in La Pocatiere that are near tourist attractions? 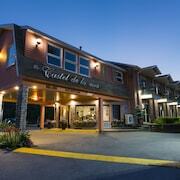 If you choose to book a hotel near the middle of La Pocatiere, there are several places. About 2 Expedia-listed accommodations lie within easy driving distance of the center of La Pocatiere. 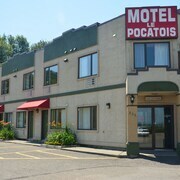 One of only a handful of La Pocatiere hotels close to the center of La Pocatiere, is the Motel le Pocatois. The Fairmont Le Manoir Richelieu is situated 25 kilometres (17 miles) from the middle of La Pocatiere. Another alternative is the Hotel Pavillons Le Petit Manoir du Casino, which can be found 30 kilometres (17 miles) away. Some other hotel and apartment options worth looking into are the Hôtel Au Petit Berger and the Chez Truchon. Why don't you broaden your horizons and check out the other sites dotted around Bas-Saint-Laurent while you are in the area? Check out Bas-Saint-Laurent's old towns, fortresses and churches. Those with a hankering for wide open spaces and fresh air should also make the time to to enjoy the region's forests. In this part of Canada visitors can enjoy snowboarding and skiing. There are a range of hotels in Saint-Antonin, which is situated 60 kilometres (37 miles) to the northeast of La Pocatiere. Options here are the Motel Express and B&B Les Chabraques. Just because you're on vacation, doesn't mean you can't indulge in your love of all things sport. You will find Arena Luc et Marie-Claude 35 kilometres (22 miles) to the west of La Pocatiere. 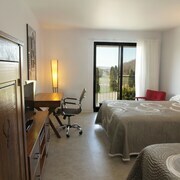 Book accommodation close to the action at the Auberge La Grande Maison or the Hotel Baie-Saint-Paul. 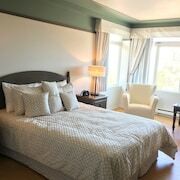 What are the most popular La Pocatiere hotels? 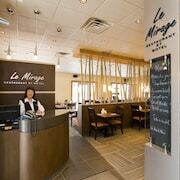 Are there hotels in other cities near La Pocatiere? 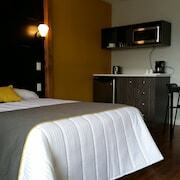 What other types of accommodations are available in La Pocatiere? Explore La Pocatiere with Expedia.ca’s Travel Guides to find the best flights, cars, holiday packages and more!